Donald Richman (IRE S'42, A'45, SM'52) received the degree of B.E.E. from the College of the City of New York in 1943. He has attented evening classes at Polytechnic Institute of Brooklyn since that time, receiving the M.E.E. degree in 1948 and continuing thereafter with doctoral studies. Since 1943 he has been engaged in a number of research and development activities at Hazeltine Corporation where he was Consulting Engineer for the Research and License Divisions. He has served as consultant for Panel 12 of National Television Systems Committee and for Subcommittee 4 of the Broadcast Television Systems Committee of RETMA. He was a member of Eta Kappa Nu and Sigma Xi. 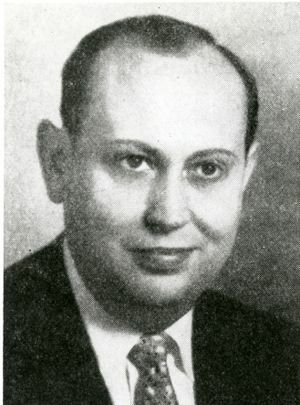 Richman received the 1952 IEEE Vladimir K. Zworykin Award "For contributions to the theory of synchronization, particularly that of color subcarrier reference oscillator synchronization in color television." This page was last edited on 15 February 2019, at 15:08.